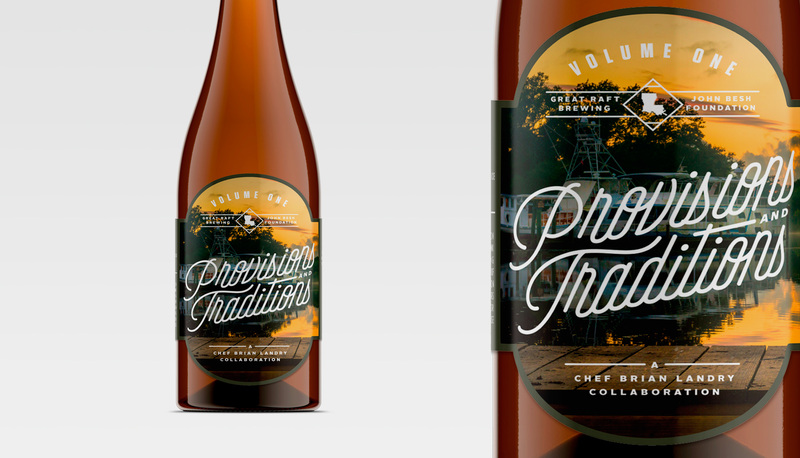 Provisions and Traditions was a charitable collaboration between Great Raft Brewing and the Besh Restaurant Group in New Orleans. 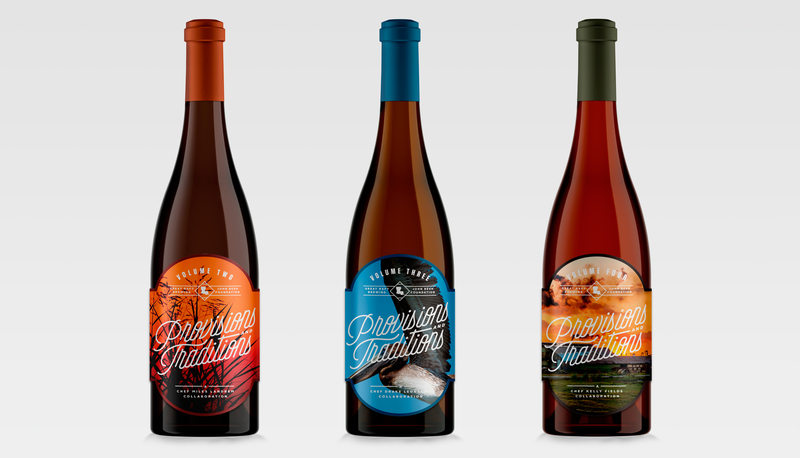 Over the course of a year, the brewers at Great Raft worked closely with four talented chefs, each head of their own restaurant, to create four distinctly different beers to be enjoyed at four distinctly different restaurants. A dollar from each beer sold went to the John Besh Foundation, which continues to provide scholarships, grants and loans to local chefs in an effort to preserve the city’s culinary history. 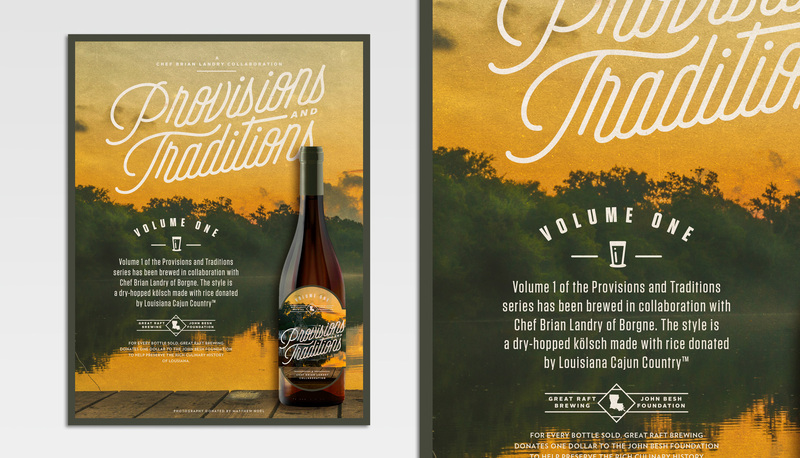 Photography by Louisiana native Matthew Noel and the hot type skills of Erick Montes helped capture the character of Louisiana for this packaging and marketing campaign. © 2019 DeRouen & Co.